MORE THAN MAPLE SYRUP. EXPLORING THE CANADIAN FOOD SCENE FROM COAST-TO-COAST. Canada has amazing food and an underrated culinary scene. From the West Coast to the East Coast, it has an abundance of fresh ingredients, talented chefs, dedicated producers and farmers, impressive restaurants and a curious crowd of foodies who can’t get enough. Because of this, we want to spread the word — tell Canadians to look in their backyards for outstanding ingredients or dishes and tell the world that we’re not just maple syrup, poutine and ketchup-flavoured potato chips. 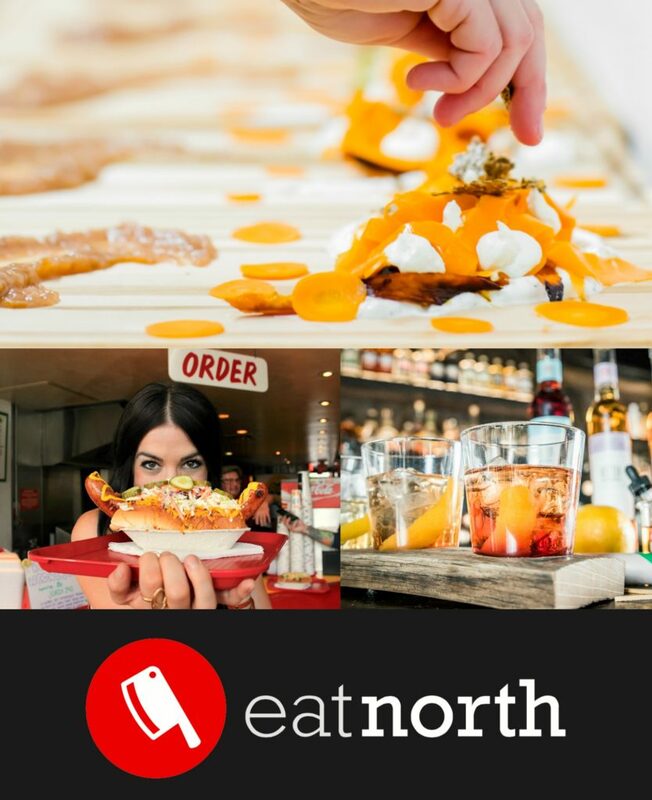 Eat North aims to tell stories of the Canadian food scene and the people behind it. From liquor distillers and sodas made from Canadian produce to the wide array of regional ingredients grown and the chefs who manipulate them into perfection, Eat North tells you why food matters to Canadians.